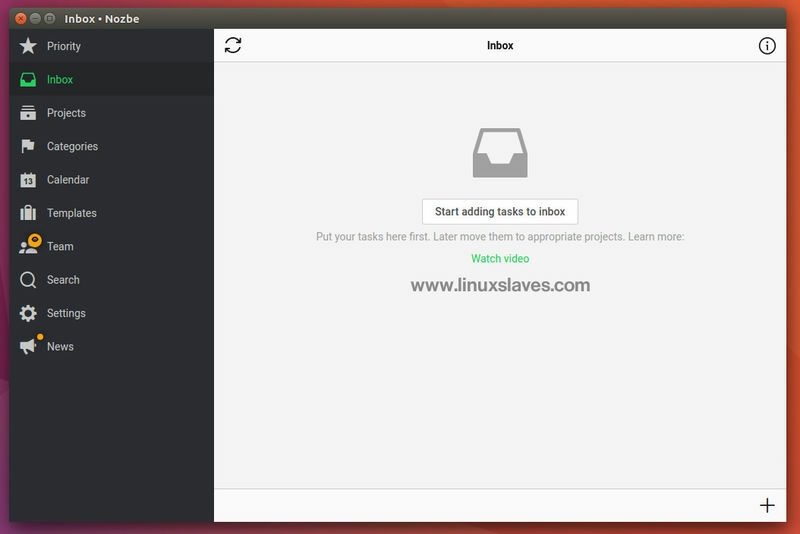 Advanced To do List App for Ubuntu - Some of us can get by with keeping everything in our heads maybe. But keeping the todo list to realize that there was a priority task you had to do today is greater to boost productivity. Inspired by the Getting Things Done (GTD) methodology which focuses on listing the task then organizing. 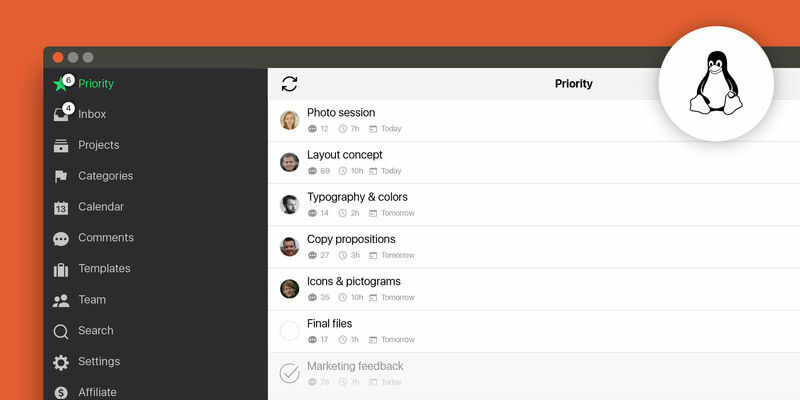 You can use it to manage your entire team's tasks and projects and get them done quickly and effectively. You can easily get the today view and be able to filter by contexts. Unfortunately, it isn't completely free. You must pay Nozbe for Pro and Business plan. However, it's free to use for personal ( up to 5 active projects ). You'll learn how to deal with your incoming tasks, prioritize them, manage them within projects and get them done quickly and effectively. You will be able to get things done anywhere, anyhow and anytime Nozbe app. 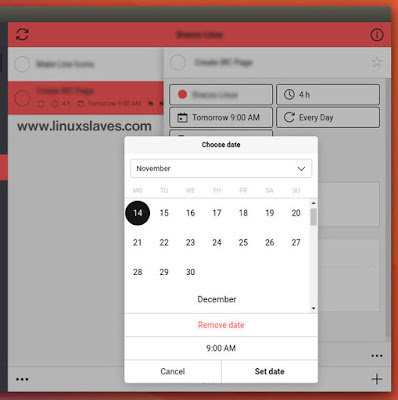 The app available for Linux, Mac, Windows, and smartphone or tablet including Android, iPad or the iPhone. You can share / add collaborators to your team to help finish the tasks, invite someone to work with you without asking them to set up a Nozbe account, or attach comments to tasks or files to projects. What about the data you have in other apps? Do not worry, Nozbe lets you to sync your current Evernote notes, Google or Microsoft Office documents, Dropbox, Box as well as Google Calendar and Evernote Reminders integrations. 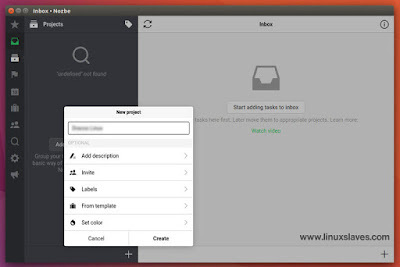 Step 3 - Open the extracted folder. There are 3 file out there : downloader.sh Readme.txt uninstaller.sh. Press enter to continue the installation and the script will grabbing all required package automatically. Once installed, you can open the app via Unity dash, create Nozbe account or sign up using your Google account to enter the dashboard. That's it! Cheers, and Enjoy Nozbe. That's all I can write about Nozbe, modern task and to do list management application for Linux and the step-by-step how to install in Ubuntu. Hope you've enjoyed reading this tutorial as much I’ve enjoyed writing it. Thanks for visiting us.